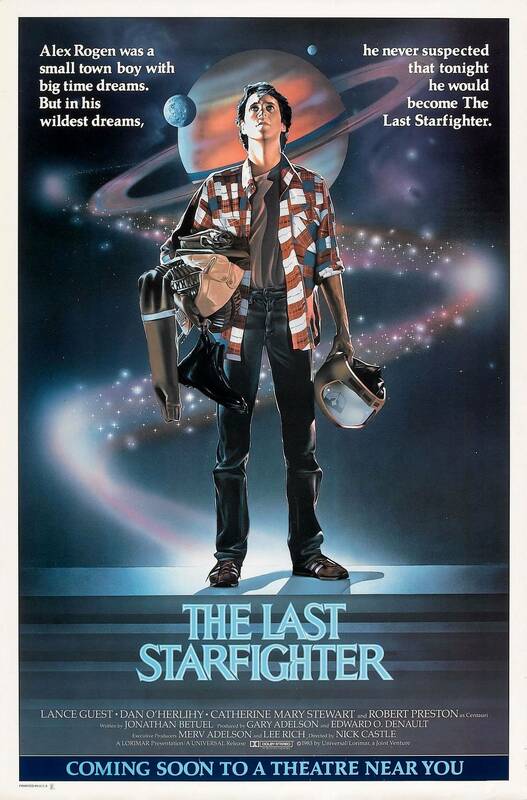 I am a life-long “Last Starfighter” fan and was very excited to attend a special 25th Anniversary screening tonight at the Aero Theatre with cast and crew. It was an amusing night. First, they showed the film and, I have to admit, it has some corny parts to it when seen up on a big screen. Yes, some parts still ring as genuine since they did have some good actors all around the cast. Afterwards, there was a massive Q&A with some cast and crew. Sadly, the Last Starfighter himself, Lance Guest, couldn’t be there due to a play he’s in conflicting However, his wife and son where there in his place. Mary Catherine Stewart – who played the girlfriend – was loitering around the theatre lobby with a producer and the director before it started. She looked great and was very friendly to the fans.